(SPOT.ph) It's needless to point out that the elegance and grace of a figure skater springs from a great sense of balance. 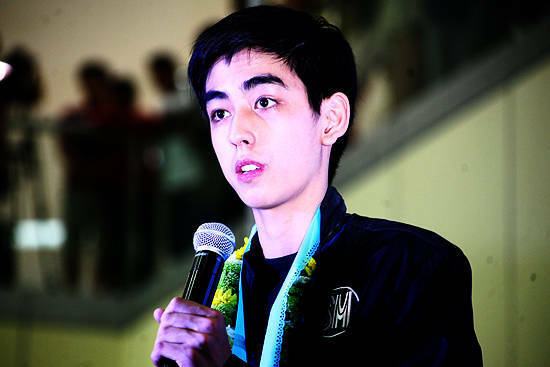 We have seen Michael Christian Martinez's prowess on the ice, but upon meeting him, it became clear to us that his talent comes from a levelheadedness that makes him seem older than his age. Some people in their late thirties are still trying to figure out where they belong, and while we think there's nothing wrong with that, it's astounding to see a 17-year-old kid going through life with such clarity and determination. He has worked past financial setbacks and injuries to fulfill a nine-year-old dream. 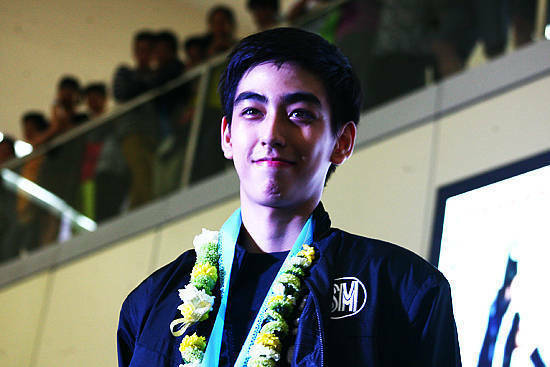 Even without a medal, Michael Christian Martinez comes home a winner-even a hero, for some. "What I have done is [similar] to what other athletes have done in the Summer Olympics. Nothing different. I may be the first to make it to the Winter Olympics, but I am not the first to represent our country in the world stage. I am extremely happy with this Hero's Welcome, but let us not forget the other Filipino athletes. I therefore share this honor with [all of them]. Mabuhay ang mga Pilipino! Mabuhay ang mga atleta!" 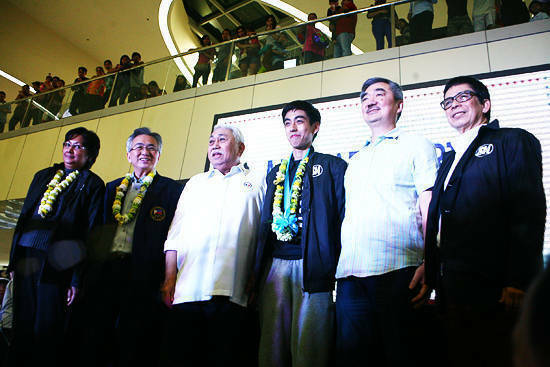 "Let us not forget the other Filipino athletes"
Martinez, who had gone straight to MoA after a 30-hour flight from Russia, modestly stood with Hans T. Sy (Chairman of the Philippine Skating Union), Pasay City Mayor Antonino Calixto, Steven Hontiveros from the Philippine Olympic Committee, Salvador Andrada of the Philippine Sports Committee, and Manuel V. Villegas (President of the Philippine Skating Union). 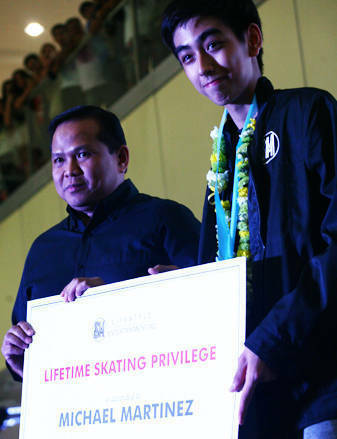 The 17-year-old skater could not keep himself from waving to the people who had flocked to greet him at the skating rink, and as Edgar Tejerero (President of SM Lifestyle Entertainment Inc.) awarded him a Lifetime Skating Privilege, an elderly lady from the sidelines yelled with a shrill but resolute tone, "Tama lang!" The huge screen behind him played his performance at the Sochi rink-capturing his anxiety, determination, and, above all, enthusiasm as he waved his jacket to let everyone know that he represents the Philippines. He shared with the press that his fellow skaters were surprised to see someone from a tropical country gliding through the ice, but he didn't treat it as a disadvantage. As he performed his routine, he reminded himself that he is doing it for God, for his family, and for his country. You can expect him at the next Winter Olympics at Pyeongchang in South Korea, and in the next four years, Martinez will continue training with his coach in the United States. 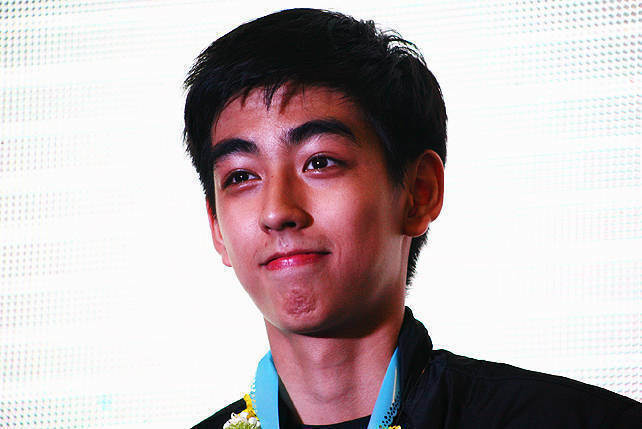 If 2018 seems far away, let's cheer for him during the World Junior Figure Skating Championship in Bulgaria on March 13 to 15! We quote him again, mabuhay ang Pilipino at mabuhay ang mga atleta.